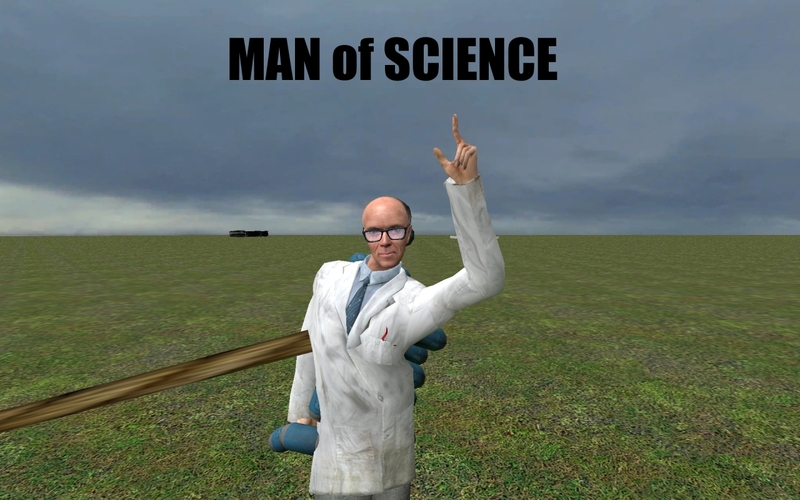 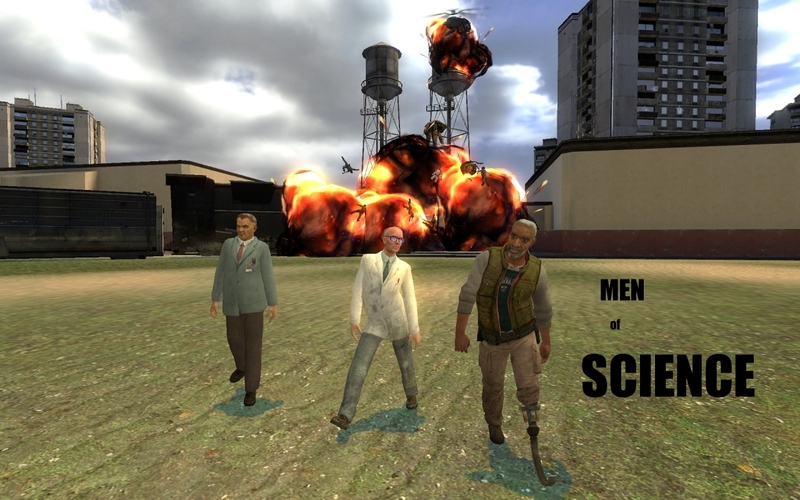 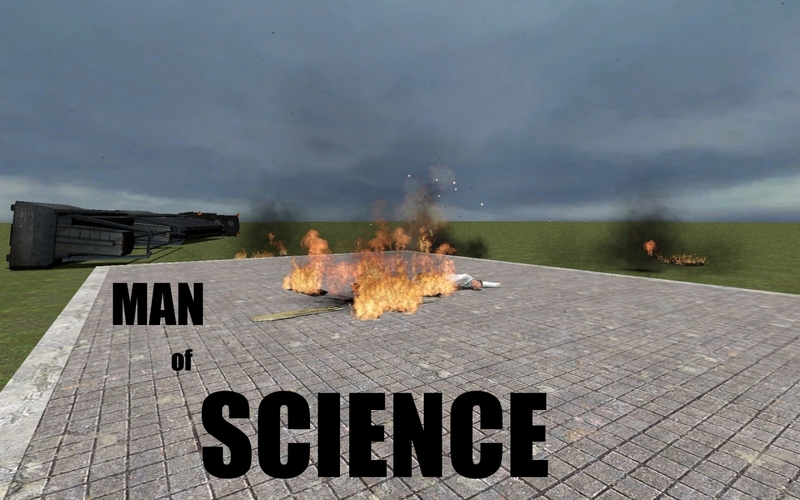 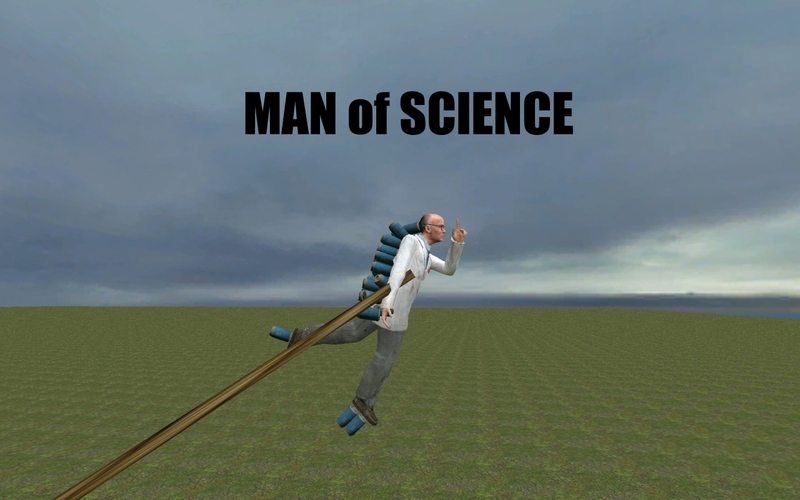 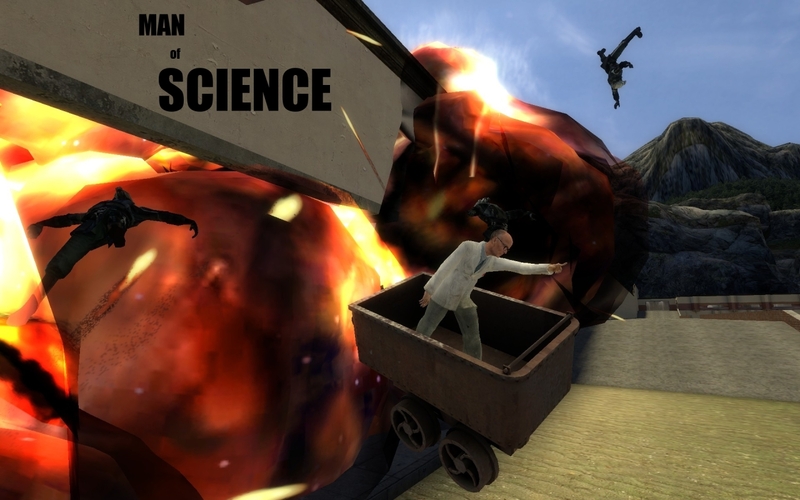 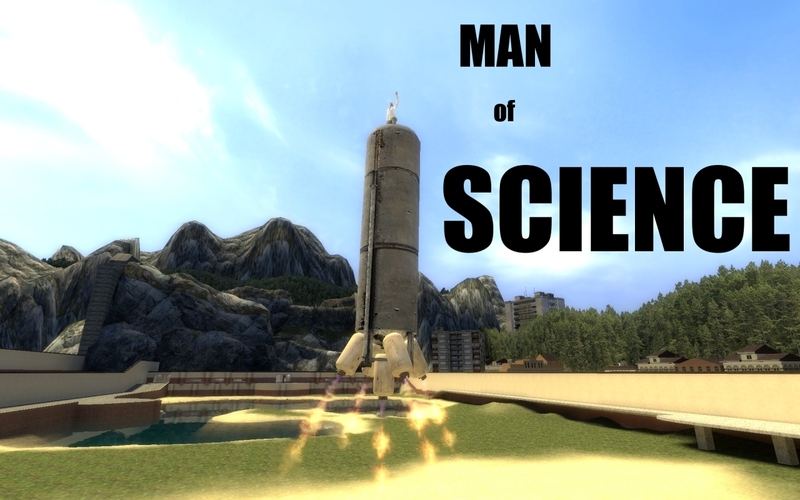 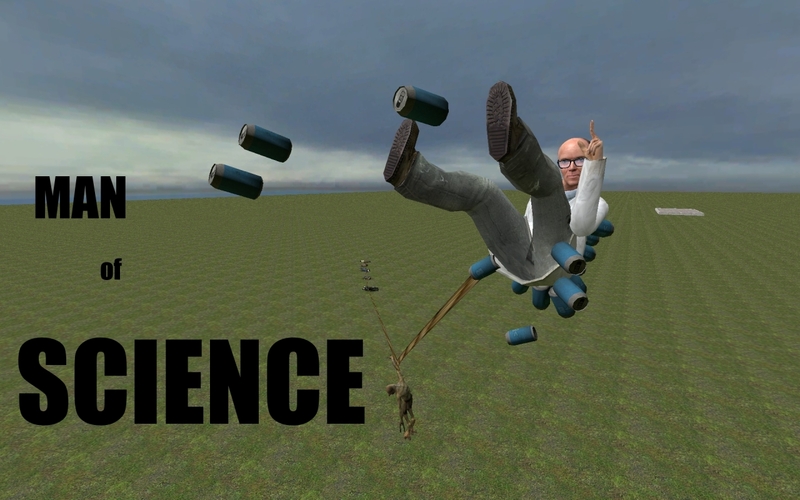 These are a bunch of pictures I made in Garry's Mod, of poor Dr. Kleiner in a range of silly circumstances. 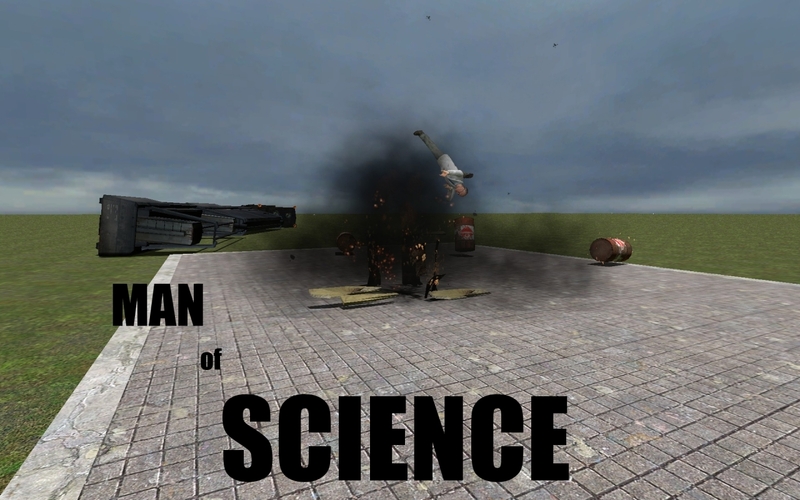 When I first started playing Garry's, it was the usual blowing stuff up that everybody loves to do. 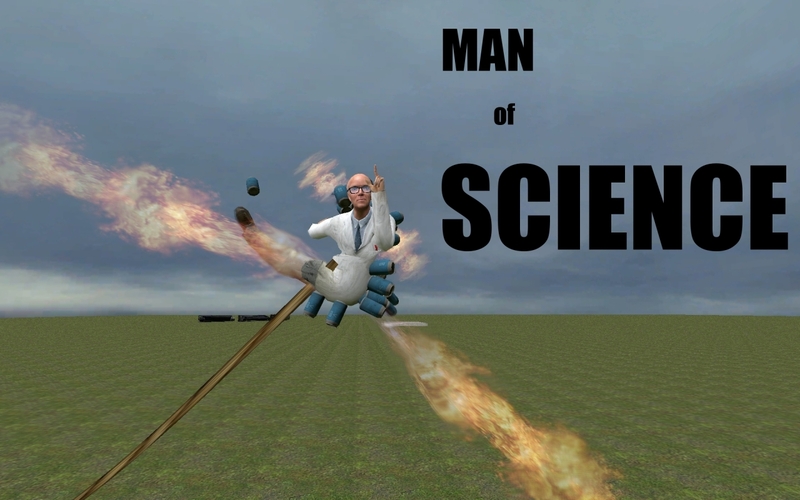 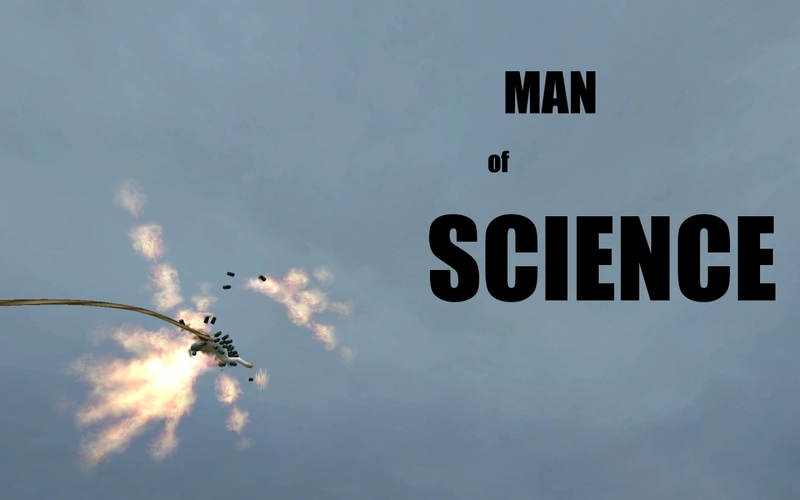 To that end, I stuck a bunch of rockets onto Dr. Kleiner, and watched him fly around the map. 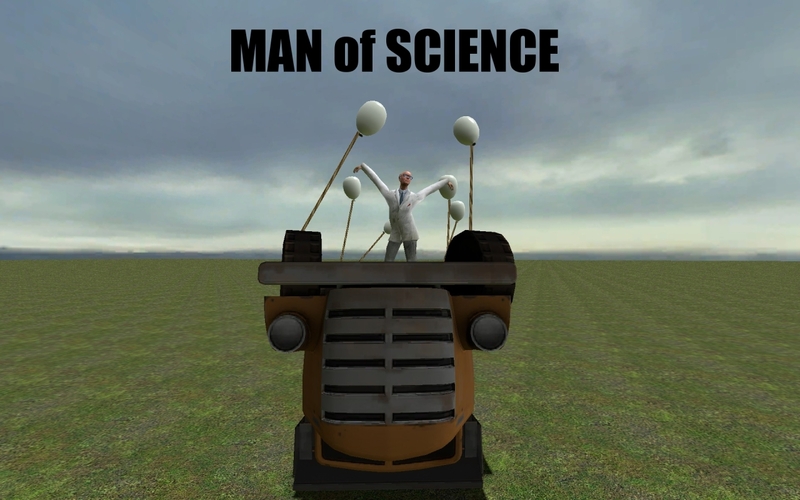 Then I tied him to a bunch of other people, and watched them fly around the map. 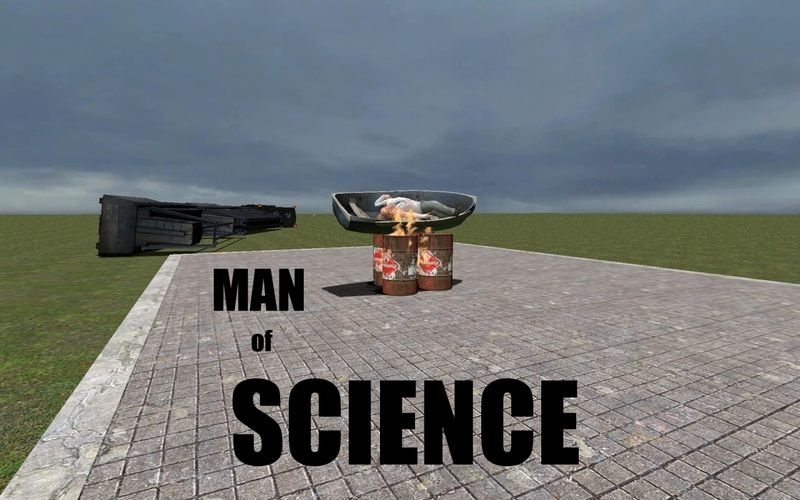 And here's a video of our friend!